Bobby Weed to design Grove XXIII for NBA Legend Michael Jordan. Having previously considered Tom Doak as the designer for a private golf course in Florida, NBA Legend Michael Jordan has now selected Bobby Weed Golf Design to spearhead his high-end exclusive club in Hobe Sound, to be known as GROVE XXIII. 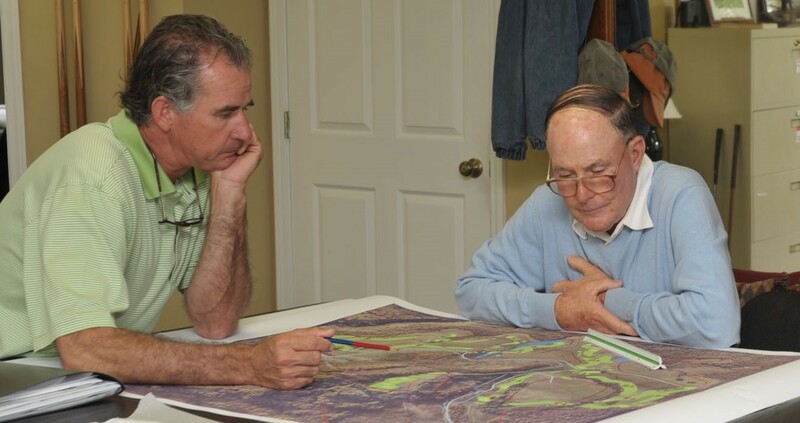 Jordan is the majority partner in GROVE XXIII, and has appointed Bobby Weed to design him an 18-hole golf course ready for play sometime next year. Construction is expected to begin shortly, with Weed planning to live on site throughout the building of the course to personally shape greens, tees and bunkers and supervise the entire construction process. Aside from a members-only 18 hole course, GROVE XXIII will also feature an intimate, contemporary clubhouse with elevated views across the course. Bobby Weed is known for his long association with the PGA Tour, and a lengthy apprenticeship with Pete Dye that included working on the Medalist course nearby. He has collaborated with many famous golfers on design, including Arnold Palmer, Jack Nicklaus, Ray Floyd and Jerry Pate. Perhaps his best regarded solo design was the similarly exclusive Olde Farm course in Virginia, which likely provides an excellent benchmark against which the GROVE XXIII course will be measured.